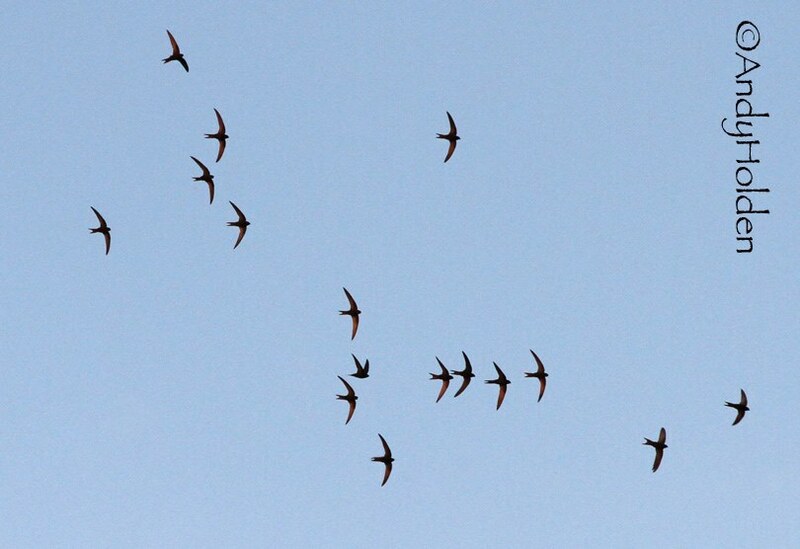 Tonight the skies were filled with Swifts almost wherever you looked there seemed to be activity. We counted approx 32 Swifts in the air at one time although to be honest I am sure this was a under count and there would have been more. We also had plenty of chasing, screaming parties with one in particular containing at least 12 birds. For most of the time the birds seemed to be at low or mid altitude and gave the observer a fabulous show! We observed the regular Post Office Buildings birds enter and leave its site. Also a bird was seen to enter the LH front of Riggs House in Cocking Yard. The bird entered the already established nest site at the LH corner, yet moments later a bird was seen to leave the property and coming out on the point of a couple of raised slates which is about 2ft further along from the corner, so whether this was the same bird that entered the site from the LH corner or was it another site altogether. 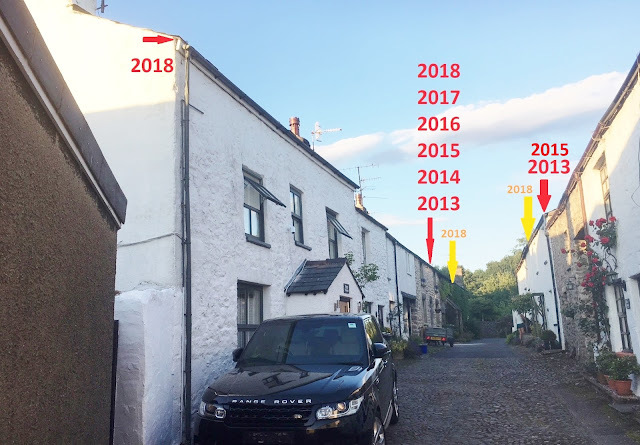 We will make a note of this and try and check over the coming couple of weeks. Also activity was thought to be going on at the rear of the Royal. We only checked out the Post Office and Cocking Yard sites this evening. 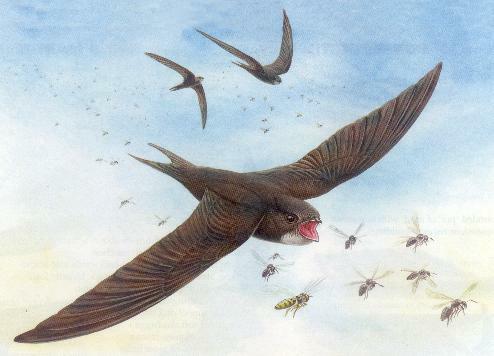 It was also reported that earlier in the week Bryan Yorke had seen a pair of Swifts using the Ducketts site at Clawthorpe Old Hall and further investigations will be carried out. Observers included: Reg and May Hesketh, Branwyn Kilburn, Hugh and Sue Miles, Bryan Yorke. It was a very enjoyable and productive watch.